This Mexican Village Is Using Fireflies To Stop Deforestation! The Dalai Lama XIV once said, "If you think you are too small to make a difference, try sleeping with a mosquito." In the small village of Nanacamilpa it's fireflies, rather than mosquitos, that are helping to create change and preserve forests in Mexico. 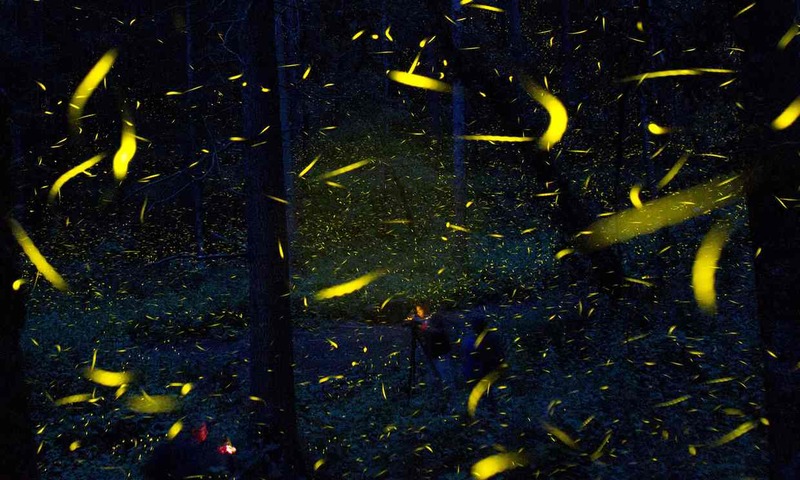 Between June and August every year, millions of fireflies show up to forests in the state of Tlaxcala such as Piedra Canteada park, a reserve that's around 75 kms from the capitol city of Mexico. Everyday as night falls, these fireflies transform the forest in to an otherworldly light show. These fireflies are not only captivating, but are providing incentive for communities to focus on environmental conservation rather than deforestation. Around 25 years ago, community leader Genaro Rueda Lopez decided to entice campers to the forests of Piedra Canteada in the hopes of bringing in revenue through tourism. At the time, economic pressures were forcing rural communities like Nanacamilpa to resort to logging the nearby forests of enormous pine and fir tries. Unfortunately, Lopez's camping venture didn't bring in the money he needed it to. In somewhat of a light bulb moment in 2011, other community members thought that perhaps the dazzling display of mating fireflies that filled the forests every year could. Five years later, business is booming and the parks accommodation is booked out weeks in advance. The two-month tourist season brings in more income than an entire year of logging, and is creating more and more jobs for the people of Nanacamilpa. Carlos Landa, a Mexico City native compared the firefly display with Christmas lights, saying "Something that I also find quite impressive is their synchronicity: to turn off and turn on, that is something really spectacular." [Image Caption] Tourists wait to start a firefly tour. Image by Rebecca Blackwell. Will all these tourists be detrimental to the firefly population? They are only a handful of places in the world where you can see fireflies gathering in huge numbers like this, so protecting the population is crucial for both the economy of the communities that rely on them for tourism and the local ecology. Like Piedra Canteada, the nearby community of Granja Interactiva Salma has also started offering guided firefly tours through the forest. To conserve firefly populations, tourism operators need to be wary of the impact people have on the area to effectively manage it. Like all business ventures, some are more ethically minded than others. Granja Interactiva Salma operates on a reservation-only basis to minimise their impact, capping the numbers of people who visit on a weekend at 250. To complement this, the community is talking to biologists about which chemicals are harmful to fireflies and want to move away from insecticide used in general on their crops. Santa Clara Firefly Sanctuary's Jose Flores Nava said "If we don't limit access, we will wipe out the fireflies. There are centers that accept up to 3000 visitors in a weekend. Imagine how much trash they leave, the pollution, and to guide 3000 people, at minimum we need 100 guides, which certified there aren't. If all those people go alone, they will destroy the fireflies' habitat." 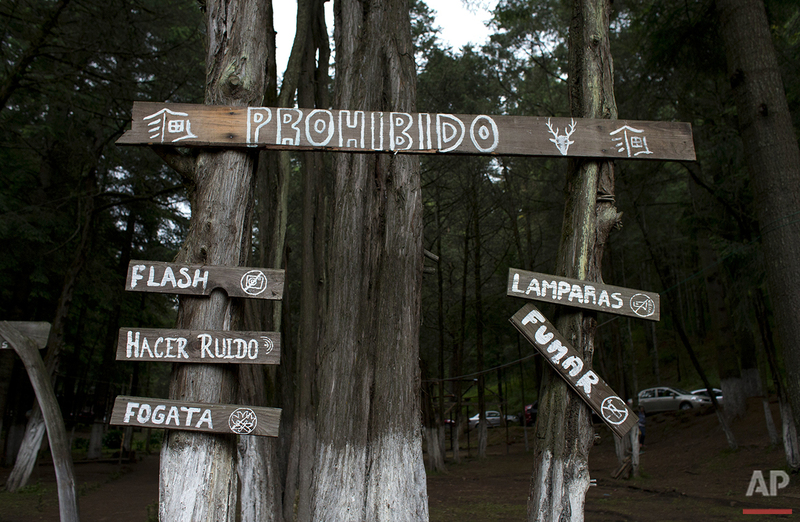 [Image Caption] The rules to protect fireflies and conserve their habitat are posted near Piedra Canteada. Image by Rebecca Blackwell. In the case of fireflies, global urban growth and deforestation are threatening over 2000 species. 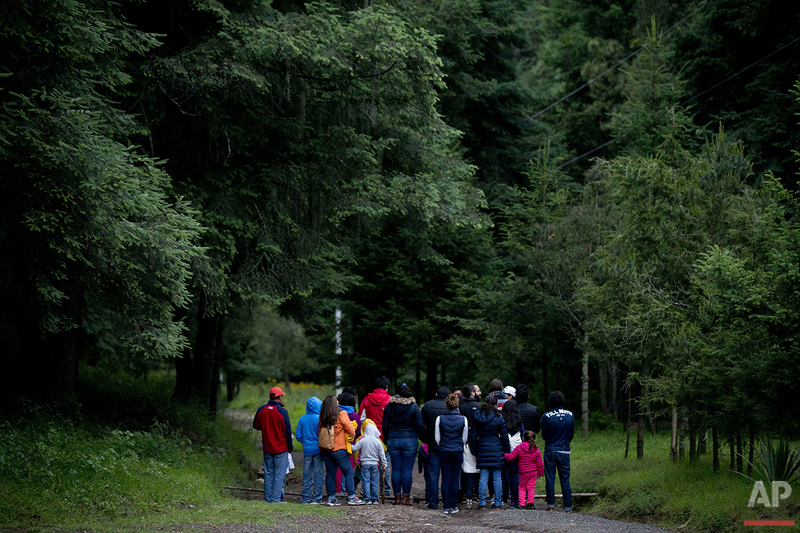 The income generated by tourism allows rural communities to move away from logging, and instead celebrate their natural wildlife and preserve old-growth forests. Ecotourism, when truly 'eco' and managed well, has the power to not only ignite tourists imagination and showcase Earth's beauty, but allows communities to move away from environmentally destructive practices. While the 42 families in the Piedra Canteada co-operative still log some trees, they have managed to preserve over 1560 acres of forest and have plans to plant 50, 000 pine trees in areas that have been logged, all thanks to fireflies. According to Forbes, ecotourism is the fastest growing sector of the tourism industry boasting annual growth of 10-30%. Enjoying the planet, while simultaneously giving back to it is one of the greatest things about eco-tourism. Trees are the lungs of our Earth, yet every second, one and a half acres of forest is cut down. If the current rate of deforestation continues, it will take less than 100 years to destroy all the rainforests on the earth. Working in harmony with nature like the people of Nanacamilpa, rather than against it, is critical for the survival of the planet. All images by Rebecca Blackwell.